It is that time of year again. A third of the season in the bag and the wheat has already separated itself from the chaff. First the chaff. Next week I’ll cover the wheat. Talk about living up to very low expectations. No one expected the Knights to shine this year and they haven’t. Stuck in wooden spoon purgatory they have managed a win and a draw and have had scores of 53 (Broncos), 40 (Warriors) and 38 (Roosters) racked up against them. They have been competitive on occasion but have shown very little resilience when tested. Trent Hodkinson, Jarrod Mullen and Dane Gagai have been solid and the emergence of the Saifiti twins are probably the only other good news stories. Jarrod Mullen – As mentioned above, Jarrod Mullen has been solid but not spectacular and unfortunately has gone down with another long term injury (returns round 20). A team can only rebuild for so many seasons in a row before floundering without a plan becomes situation normal. All of their exciting young players seem to wander off after a few seasons and while they have made some quality purchases each year, they don’t seem to be able to pull themselves off the canvas. Most likely scenario is more of the same. Will be a huge achievement to bunch together some wins and lift themselves off the bottom of the table. Very dispiriting for the Hunter region. The absence of Mitchell Pearce, Boyd Cordner and Jared Waerea-Hargreaves hurt, obviously. People are probably underrating how much losing Michael Jennings, RTS and James Maloney also hurt them. SKD’s domestic violence case didn’t help. Neither did Mitchell Pearce’s shenanigans. It all added up to an almost unrecognisable team on the paddock for the Roosters and the results certainly showed that, winning only 2 from 9, however, apart from 2 maulings and a big win over the Knights, their plus minus for the remaining 6 games was only -6 so they’ve been in most of their games. Inexperience in the halves has been a key feature but inexperience all over the field is closer to the truth. Blake Ferguson – Ferguson is tracking very well and has been rewarded with selection in the Australian team for Friday’s test. He is big, fast and strong and has been a standout in a fairly bleak First Trimester. Honourable mention for Dylan Napa who has been absolutely destructive in certain games but quieter in others. Will improve now that the majority of their players are back. The younger players will be better for the experience too. They need wins more than anything (thank you Captain Obvious) and are only 2 wins out of the 8 but you can put a fork in their premiership ambitions for this year. No-one is catching the top 4 this year. I think they will sneak into the 8, especially considering the current plight of the Eels. Despite only winning 3 from 9 to start the year, things aren’t as bad as would seem. 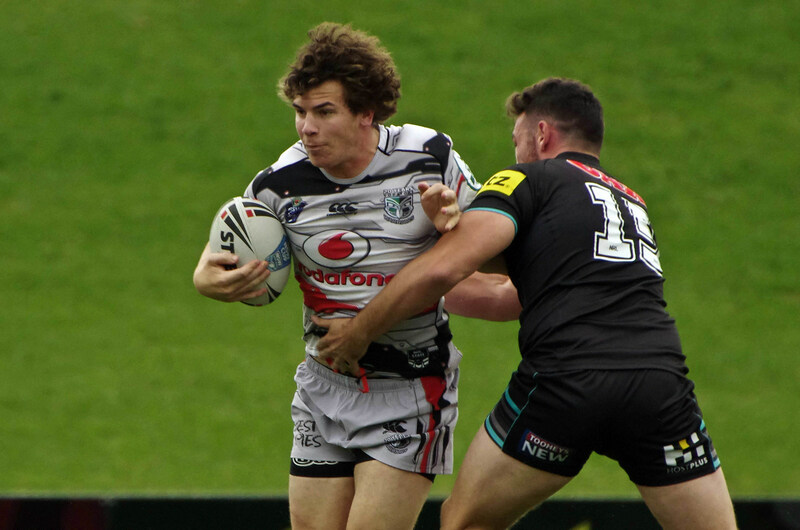 The absolute hiding from the Raiders (60-6) is very hard to forget but they have been competitive in every other game and could have easily had wins against Cronulla and Melbourne. Pleasingly they bounced back with a win over the Bunnies after that loss against the Raiders. A bad loss could have seen their season in free fall. It is amazing how many stories came out about Jason Taylor losing the dressing room after that loss to the Raiders. Those stories seemed to have subsided for a while at least. James Tedesco – While Robbie Farah, Luke Brooks, Mitchell Moses and Aaron Woods have had their moments, Tedesco steals the show every week. He is virtually unstoppable. I often refer to him as a tackle breaking savant. They will miss Tedesco who is out injured for a while, but should fare well during Origin in terms of player losses (probably just Woods, Farah and Tedesco). Could sneak into the 8 with some improved form but that will be the best they can hope for. They will also want to hang on to Brooks and Moses so an uptick in form could help in that regard as well. Still think they will finish 14th. I thought the Titans were cooked and said as much in my season preview. I just couldn’t see where the wins would come from. I thought for them to do anything at all Greg Bird had to be amazing (tick) and that their young players had to play out of their skins (tick). They’ve got way more out of Ashley Taylor than I thought was possible. He has shown real composure. Cameron Cullen has shown flashes. I didn’t even know his name until this year. Agnatius Paasi and Leivaha Pulu are showing some punch in the forwards as well as identical haircuts. The Titans have been in every game except the blowout loss to the Storm. They still aren’t in the top 8 but sometimes being off the bottom of the ladder is a victory in itself. Ashley Taylor – For reasons above I’m giving this to Taylor. His kicking and running games are top notch and the Titans look set in the halves for the foreseeable future with Elgey and Taylor at the helm. Have shown that they will be brave and are way more resilient than I thought they would be. Of course any run of injuries will seriously test their depth of which there is very little. Apart from Matt Srama and Kane Elgey haven’t fared too badly on the injury side of things. All doesn’t seem right in the State of Denmark. The Bunnies just don’t look engaged. The malaise from last season has carried over to this season. It may well be that they have just lost too many good players. Ben Te’o, Isaac Luke, Chris McQueen and Dylan Walker are big holes to fill. It hasn’t helped that John Sutton and Adam Reynolds have been out for a large portion of the season too. I think the Burgess twins are regressing as well. That pretty much leaves Sam Burgess and Greg Inglis to carry the can for them and it is a big can to carry. Cody Walker has been a pleasant surprise. Greg Inglis – He gets a lot of criticism and I think most of it is unwarranted. I got the feeling (and I know I said this a thousand times) that he was playing injured last year. I heard a stat the other day that no-one has played as many minutes as Greg Inglis in the last couple of seasons. The man is worn out. He is still one of the best players in the World. Best case scenario, they sneak into the 8. Worst case scenario, they stay wallowing in the bottom half of the ladder. It seems a long time ago that they put 42 on the Roosters and 48 on the Knights in the first two rounds and a narrow 8-6 loss to the Dragons in round 3 was probably a better gauge of where they are sitting at the moment. I haven’t seen anything to dissuade me from my pre-season prediction. In 2015 the Dragons only averaged 18.125 points per game (15th in the NRL). This year they are averaging only 9.8 points per game (16th in the NRL). That they have won 4 out of 9 games is a modern day miracle. To describe their attack as moribund would be doing them a favour. Benji Marshall has been injured more often than not and Gareth Widdop has regressed in many ways. He is trying his heart out but his execution is very inconsistent, especially his kicking game. I’ve said this for 2 or 3 seasons but they are still light on in the forwards. Josh Dugan – He is another one trying his guts out but he is being well marked, as you would expect. He is the Dragons best player at the moment. He could do with some support. Reminds me of the Dragons in 1986 when Michael O’Connor was pretty much their lone shining light. Out of the 8 on only for and against, they could yet play finals football but that should be the zenith of their ambitions. Put it this way, they won’t be playing in week 3 of the finals. The League of Extraordinary Gentleman warned me that I was overrating the Warriors. Tipping with my heart and not my head. It pains me to say it but the League is probably right….again. RTS seemed like a different player with a Roosters jersey on and while he is out for the rest of the season, his defence was severely lacking in confidence and his general game followed prior to his injury. It is hard to put your finger on just why. Isaac Luke is also lacking match fitness and hasn’t been the same player either. Shaun Johnson is building into form, which was to be expected after such a bad ankle injury and they really miss Chad Townsend who has continued his development with the Sharks. Apart from the shellacking by the Storm, they’ve been in most games but, as always, they are maddeningly inconsistent and the prescription drugs brouhaha couldn’t have come at a worse time, although the team responded well to that. This is a very long way of saying…it’s been emotional. Ben Matulino – Has been one of the Warriors best for a number of years and this season is no different. Shaun Johnson usually gets the headlines but Matulino lays the platform. Will be interested to see if he bounces back from the prescription drug scandal. The Warriors always make a run during Origin, for obvious reasons, but barring an absolutely torrid burst I can see them cruising into the bottom of the top 8 at best. Certainly 3rd looks out of touch. I think Andrew McFadden could be on his last legs unless the Warriors start bringing some consistent performances to the table. Actually not quite as bad as I thought they would be considering Kieran Foran’s departure and continuing injury woes of Brett Stewart. The forward pack has been honest with Jake Trbojevic a standout. Martin Taupau is also playing well but understandably has had less impact as his minutes have gone up. Still having quite an impact. DCE has been solid without being spectacular. Dylan Walker isn’t a five-eight, at least not yet but Api Koroisau is. He’s been great. Apisai Koroisau – As mentioned above, Koroisau has been quite the surprise package and has earned himself a regular spot in the team on the back of his attacking spark around the ruck. Seemed to get buried at Penrith behind James Segeyaro but should come into his own now. Playing better than I thought they would so finals football is by no means out of the question but can’t see them rising above Broncos, Cowboys, Storm or the Sharks whose credentials are way ahead of the Sea Eagles. GSW. Still looking awesome without Steph. Series against the Spurs, provided both teams make it, will be riveting. NFL Draft. Got to see my first draft, albeit in replay due to time zone differences. Pure theatre. Leicester. Amazing stuff. Didn’t think I would ever see anything like that happen. Stay tuned for the next exciting episode on Saturday, 14 May 2016 titled ‘2016 NRL First Trimester Report Part 2 – Cooking with Gas’. This entry was tagged Australia, England, English Premier League, EPL, Football, Greg Inglis, New Zealand, New Zealand Warriors, NRL, Rugby League, Soccer. Bookmark the permalink.